Kroger Mega Sale Shopping Trip – 69% Savings! Did you see my latest live video on Facebook? I shared about my Kroger Mega Sale Shopping Trip, and I finally got the complete list together to show you how I spent $42.36 and saved $94.79!! That’s a savings of 69%! = $1.36 (or $0.45 each) after coupon! 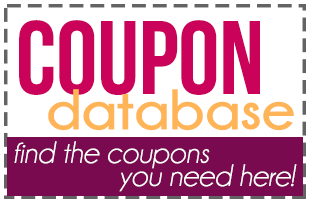 = 4 for FREE after coupons wyb 5 participating items! = $5.44 (or $0.91 each) after coupon wyb 5 participating items! = $3.70 (or $0.74 each) after Ibotta rebate wyb 5 participating items! = $5.97 (or $1.99 each) after coupon wyb 5 participating items! = $1.98 (or $0.99 each) after coupon wyb 5 participating items! = $7.96 (or $1.99 each) after coupon and Checkout 51 deposit! = 4 for FREE after coupons! = 2 for FREE after coupons! = $2.88 (or $1.44 each) after coupon! We would love for you to share your shopping experiences with us, too! Share them in the comment, on our Facebook page, or in our Facebook group. See my past shopping trips and check out all of the KROGER deals on Become a Coupon Queen.